Comment: Garage and basement forms taken off left uneven surface and knobs. Comment: Looking for an estimate to seal and finish concrete flooring in basement, had some water damage to carpet, now looking to finish and put a watertight seal on floor. Southbury Concrete Contractors are rated 4.83 out of 5 based on 864 reviews of 61 pros. 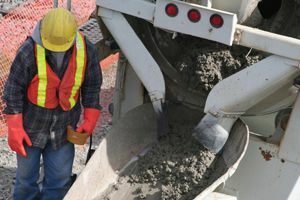 Not Looking for Concrete Contractors in Southbury, CT?